When spring arrives, both large and small livestock owners with pen-pack manure are looking to apply the manure as soon as field conditions allow. Across the state I have seen stockpiles of pen-pack manure outside of sheep, horse, cattle, and dairy buildings. The nutrients and organic matter in pen-pack manure are an excellent addition to farm fields. We always want to keep water quality in mind when handing manure. The goal is to make good use of the manure nutrients and keep those manure nutrients out of streams and ditches. Pen-pack manure contains the macro nutrients nitrogen, phosphorus, and potash along with a host of micronutrients. 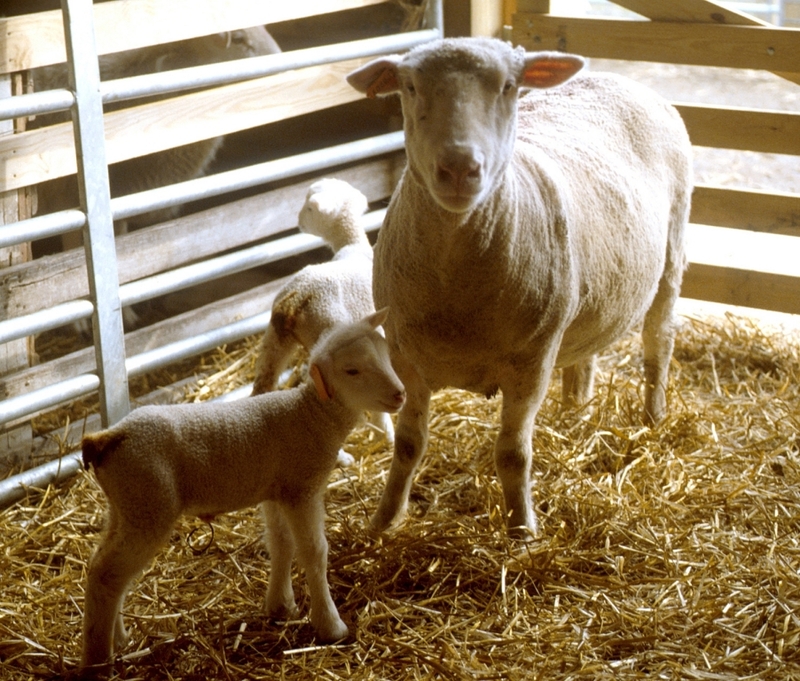 The nutrient content can vary depending on species, feed products fed, and the amounts of straw or sawdust used for bedding. The farm’s manure handling and storage practices also impact the nutrient content of manure. Manure stored under roof will usually maintain a higher nutrient value than manure exposed to rainfall. Pen-pack manure nutrients are measured as pounds of nutrient per ton of manure. Typically the nitrogen content will be 5 to 12 pounds per ton. Nearly all of this will be in the organic form. This nitrogen takes time in a field to mineralize and become available to growing crops. The phosphorus content will usually be from 6 to 10 pounds per ton and will be in the P2O5 form. The potash content will usually be between 4 and 10 pounds per ton and will be in the K2O form. Applying pen-pack manure can be more precise if you know the application rate being applied in tons per acre. If you are unsure how many tons per acre your solid manure spreader applies there is a simple way to make a determination. Make a tarp that is 56 inches by 56 inches (21.8 square feet). 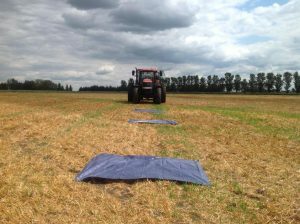 Fasten it to the ground with weights on the corners and apply manure across the tarp. Fold up the tarp and weigh the manure captured. Many people use a bathroom scale for this. One pound of manure captured on the tarp is equivalent to one ton of manure applied per acre. Thus, if you captured 10 pounds of manure the application rate was 10 tons per acre. For more information about how and when to sample manure, Penn State Extension has a good publication available on-line. Posted by Braden Campbell at 8:00am April 30, 2018 Posted in Management and tagged Management. Bookmark the permalink.